Celebrated every year on March 30th, National Doctors’ Day serves as a day to properly honor the men and women who dedicate their lives to support their patients. 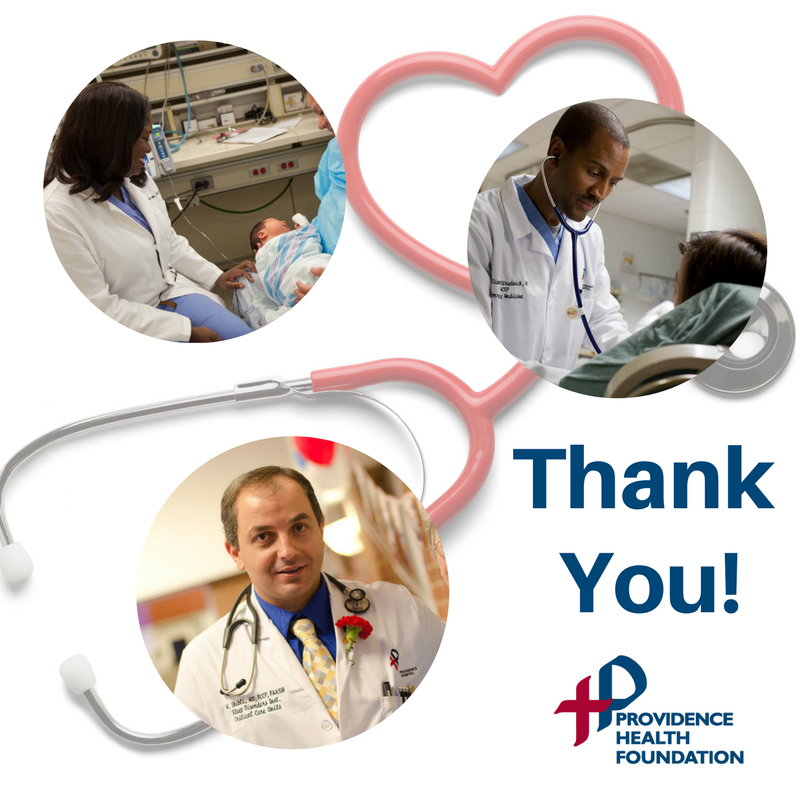 In honor of National Doctors’ Day, Providence Health Foundation would like to acknowledge and celebrate Providence’s devoted staff of physicians and remind them just how much they have impacted the lives of the patients they serve. We invite you to join us in expressing your appreciation to those physicians who have truly made a difference in your life with a gift to Providence and personal message that will be distribute to that doctor during Providence’s Doctors’ Day Luncheon on Thursday, March 30th. Click here to send a personalized appreciation card or make a gift. Your gift will be used to help strengthen hospital programs, enhance medical technologies and to help maintain a healing environment at Providence. Please submit all appreciation messages no later than March 28th so they can be distributed to that physician in person during our Doctors’ Day Celebration.